Want to wake up your walls? 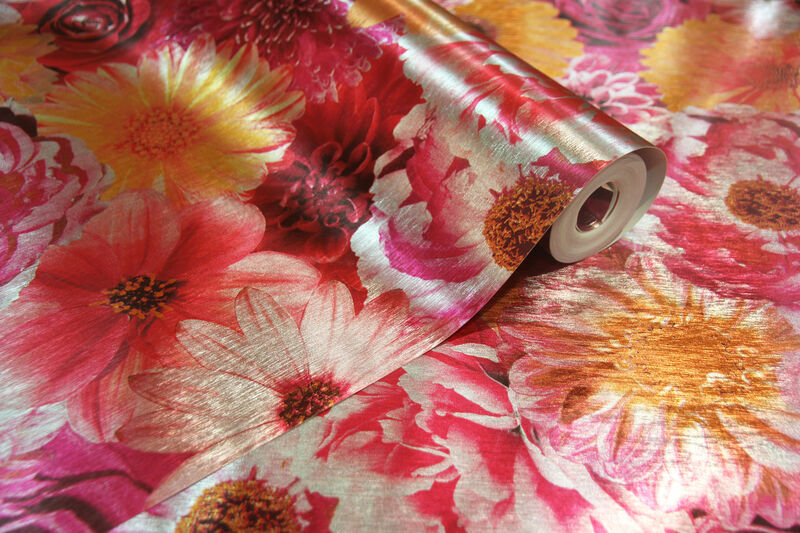 Gabrielle Fagan speaks to those-in-the-know about the hottest wallpaper looks. Walls - like presents - look their best when well-wrapped. 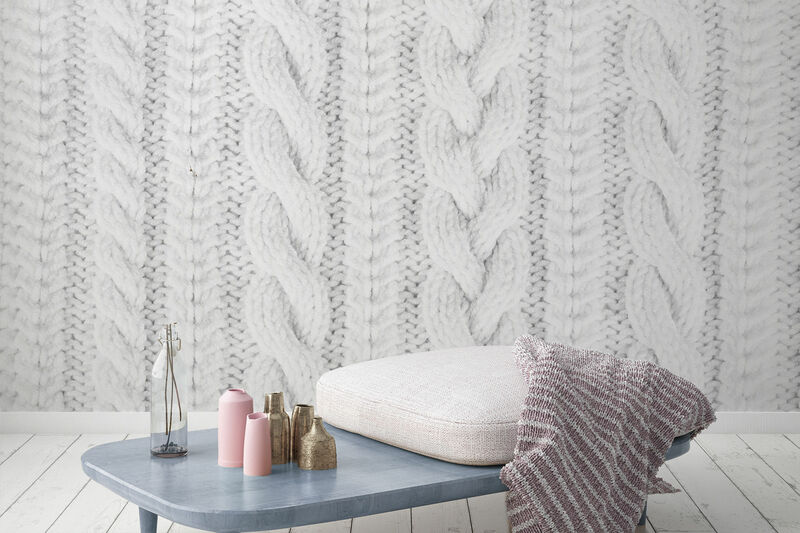 And there's now a huge choice of wallpapers out there, so they can shimmer, sparkle or stun with texture, pattern and colour. Papering a single feature wall, or a whole room, is also a 'fast' way to embrace a trend. After all, we're increasingly following home fashion just as closely we do clothes - and a winning combination of cutting-edge digital technology and brilliant designs makes it possible to literally transform a setting with just a roll of paper. "Wallpaper has observed tradition for too long and people are starting to acknowledge its potential in their homes," says Catherine Jacob, head of design at Murals Wallpaper, who offers a range of designs and can create bespoke wall murals from images, designs or photographs supplied by customers. 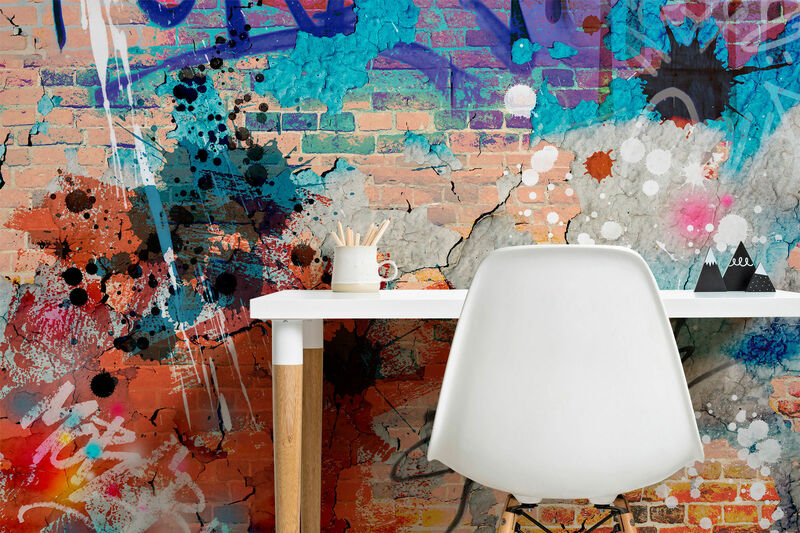 "Platforms such as Pinterest and Instagram inspire people and help empower them to experiment, while the rise in personalisation means people are enjoying creating unique designs for their walls. "Generally, patterns are becoming more daring, with large-scale dark florals, jungle prints and bright coloured geometrics enlivening the landscape of walls once dominated by a conventional neutral palette of paint." For 2018, she predicts large-scale images or repeat patterns will offer a punchy alternative to the small, ditsy patterns of yesteryear. "Millennial pink reigns as the new black and has become a staple base colour, but lilac tones are gaining popularity," Catherine adds. 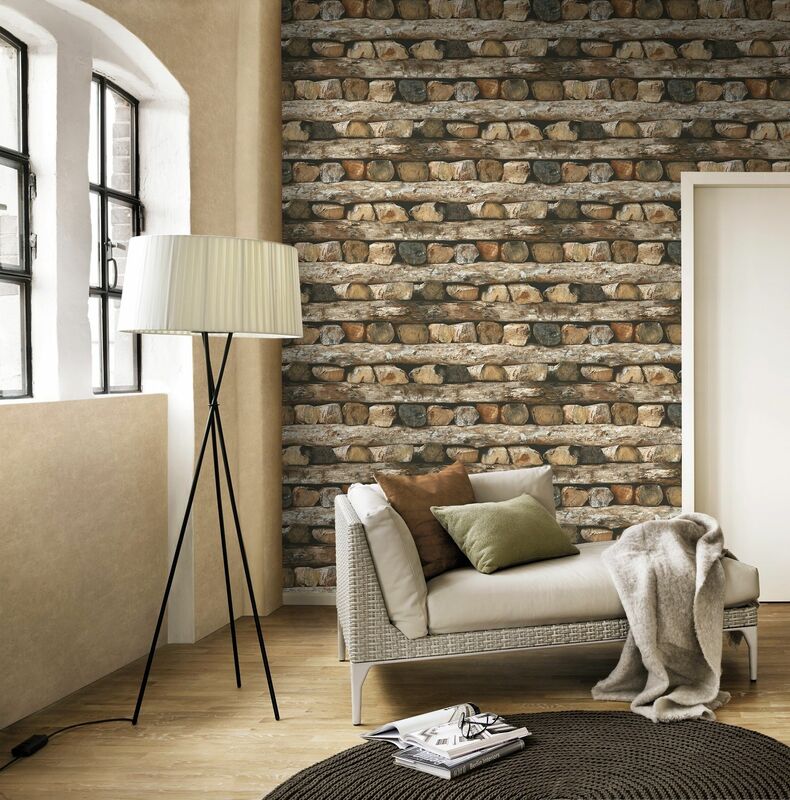 "Faux texture wallpapers are recognised as a brilliant way to change the character of a space, with brick for a rustic look or concrete for a chic industrial feel, or even wool for softer luxury. The craft/handmade movement is inspiring design, so look out for more free-flowing painterly styles, merging the look of artisan skills with digital-age technology." Top tip: To enhance a setting and ensure a beautiful wall covering is the focus of a room, pick out key colours from the design and repeat them in plain fabrics and painted woodwork. "These days, people can choose a look which totally reflects their personality and taste. Whether you prefer a bold colour palette with pops of bright colour, linear or geometric patterns, or shimmering metallics, there's literally something for everyone," says Paula Taylor, colour and trends specialist for Graham & Brown. "For 2018, we've identified key trends which form the backdrop to our new collections. We're focusing on raw beauty - tactility, texture and fresh white forms, which bring purity to a home - think weaves, cane work and wood grain with layered, natural finishes. "We're also honing in on gentle, subdued shades, such as millennial pink, arctic blue and cool heather, as well as offering dramatic, dark backdrops. 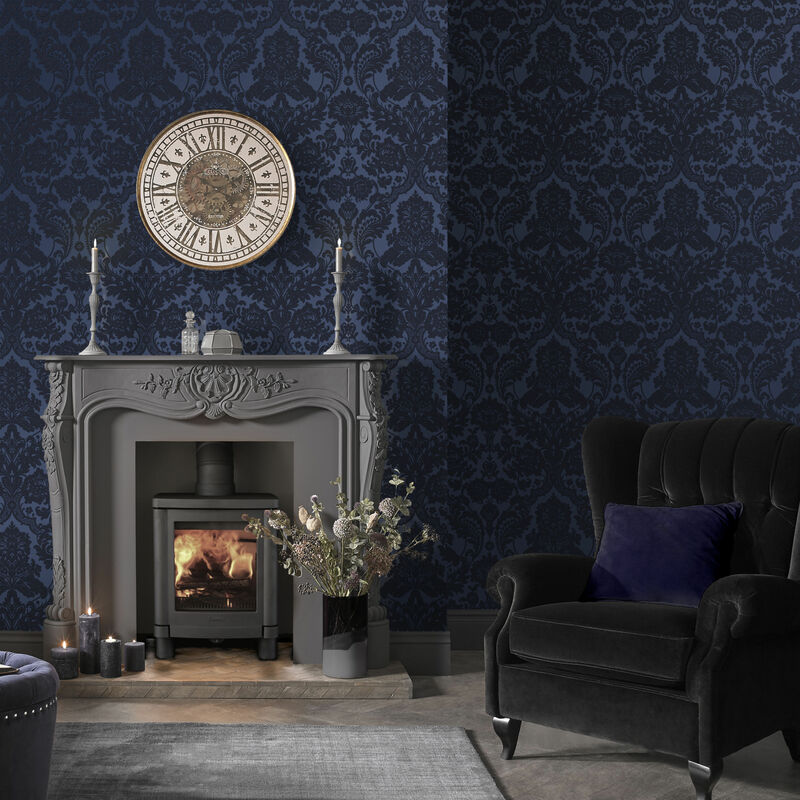 Our Gothic Damask Flock Cobalt Wallpaper (£75 per roll) comes in a rich cobalt." Graham & Brown's 'Wallpaper of the Year' for 2018, Pierre, which is seen here in a pink hand-painted magnolia design with a white gold metallic backdrop, currently from £40 to £32 a roll. "Vibrant tones of turquoise, parakeet green and fuchsia which will burst onto the scene next year, reflecting the desire for botanical opulence and luscious vegetation," Paula adds. "We're also focusing on nature in our Bugs Silver Wallpaper, featuring butterflies and insects." "Global influences are here to stay, with an appreciation of intricate mark-making, weave dying and bold graphic elements. This trend will be a statement look, with sapphire, crimson and papaya colours, underlined by earthier rusts and greys in celebration of highly-coloured pattern." Top tip: For a stylish statement wall that conjures an eclectic traveller look, consider a bright tropical wallpaper featuring animated creatures and layered forest leaves, paired with natural wood furniture, bamboo accessories and wicker accents. For a modern feel, pair patterned wallpaper in a calming sage green with clean lines and contemporary furniture, and contrast vivid colours with glossy white finishes. "The trend for people to be brave with pattern and embrace colour will continue into 2018," promises Alex Whitecroft, head of design at I Want Wallpaper. "The popularity of floral patterns endures and classic patterns are getting an update, with new printing techniques and a fresh focus on detail and larger-scale patterns. A pink/purple palette will be the top favourite. "The trend to bring the 'outdoors in', with the adoption of botanical and tropical looks, will evolve even further. There are so many fabulous ways to incorporate this look, from subtle embossed palm leaves to bold and bright tropical prints." "Industrial papers mimicking the look of natural materials will continue to be popular, with earthy tones and dark woods taking over from the pale, blonde Scandinavian-style which is now waning." "Metallics and designs incorporating sparkle and shine are another hot trend, and are brilliant in light-starved rooms, as they help bounce light around and give an illusion of space. 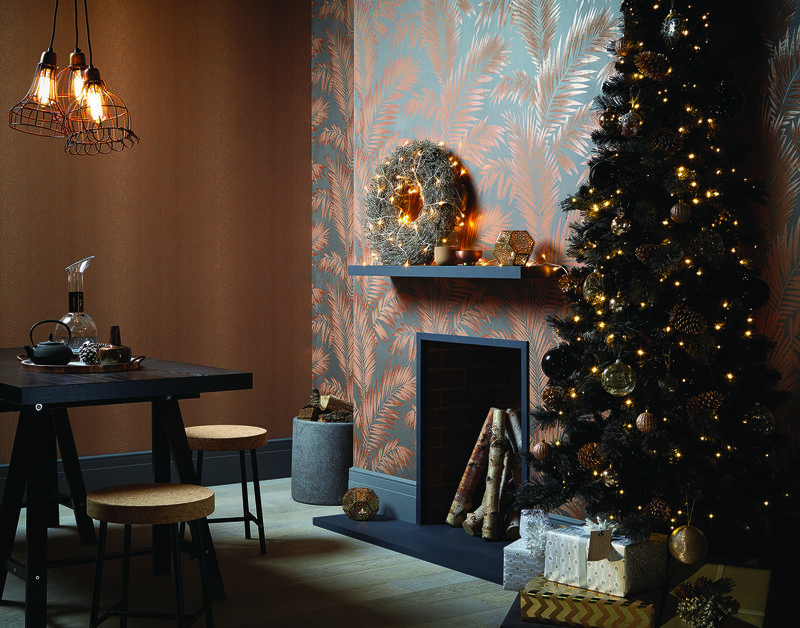 "These wallpapers look stunning as a feature wall for a backdrop to a Christmas tree," Alex adds. "Generally, copper's been popular, but many predict matt silver metallics will triumph in the next 12 months." Top tip: A large print used on all the walls in a small room, or one with low ceilings, may be overbearing - so use it sparingly or consider using a smaller-scale, simpler graphic design, or a simple textured paper.